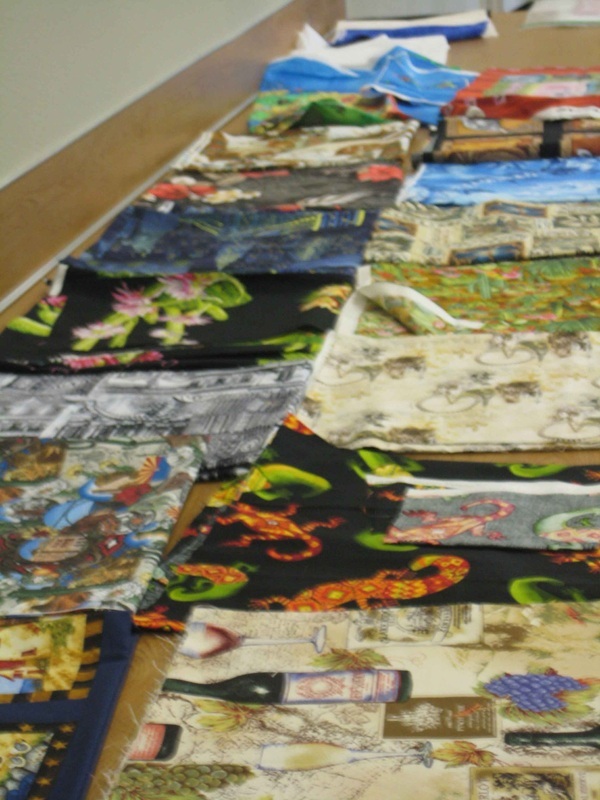 Learn a variety of travel quilt techniques that can be utilized for your own Traveler's Quilt. This is a very fast moving class with the opportunity to experiment with numerous techniques. This can be organized for a one or two day workshop. Two days provides more time for the quilters to play with the techniques and discuss ways to utilize the techniques in their own quilts. 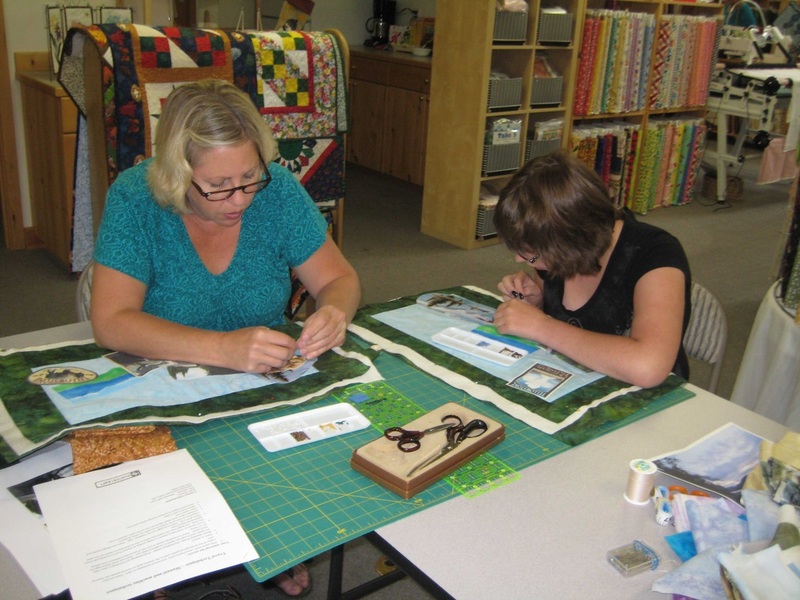 Students can create their own memory or travel quilt, or simply practice the techniques and work on their own quilt later. A complete kit or a partial kit can be provided. 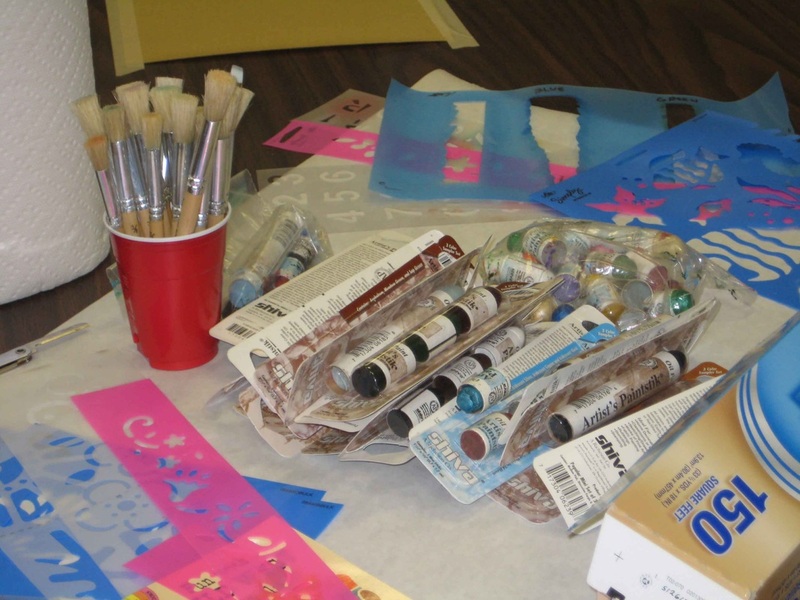 A partial kit provides supplies for the new techniques and students provide fabric and postcards. Beading, stenciling, and printing on fabric will be used. 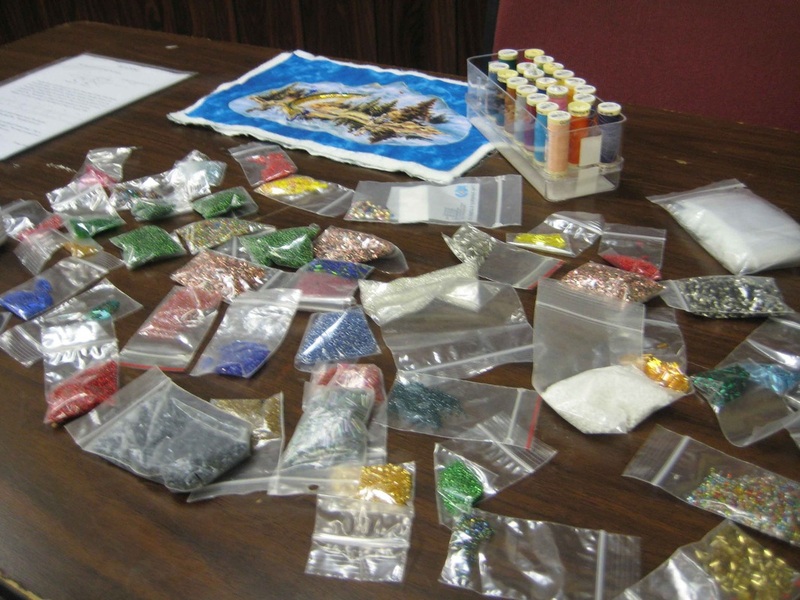 The supplies provided will include numerous beads, dozens of stencil colors and stencils, and a large amount of travel fabrics to choose motifs from. How does the class work? Students bring their own photos, postcards, and fabric/memorabilia from thier trips if available. I bring a scanner/printer and EQ printable fabric, travel theme fabric, paints with stencil templates, beads to embellish fabric, and gridded Pellon. I'll copy your photos or postcards, and help you choose stencil patterns, motif fabric, and beads, to create your own wall hanging. You'll also learn how to use gridded Pellon, which is very versatile for Traveler's Quilts, however it is time consuming so that portion will probably not be completed during the workshop. Choose from three sample quilts (Paris, Hawaii, or a US road trip) and learn techniques to complete your own Traveler's Quilt. The techniques taught will vary with the type of trip chosen. You'll learn the basic Traveler's Quilt philosophy and learn how to apply it for different styles of trips. Although the designs are based on Paris, Hawaii, and a US road trip, you can specilize it for the city or trip of your experience. A resort in Turkey can be caught in the same manner as a Hawaiian resort or substitute London for Paris. A full kit is normally provided for this class with the students augmenting it with items collected from their trips if desired. The material lists are customized for the three trips; contact me for a copy and more information. In a guild setting, the workshop is $850 for two days. For a workshop in a shop setting, please contact me. Thank-you.